Why choose Futsal over traditional 5 aside football? Futsal Played by the greatest players in the world past and present including Pele , Maradona , Ronaldo, Ronaldhino and Messi. Ex Spain and Barcelona legend Xavi says “In futsal, you see whether a player is really talented… you notice the small details in quality, class and tactical understanding. Played by all ages Futsal encourages players to move and use close control and awareness. Unlike traditional 5 a side the ball can go out of play as side lines are used. It is fun and fast paced with the use of quick thinking is necessary. Futsal a game to improve technical ability with players getting many touches in small spaces. The sports connexion has 3 futsal pitches one which is Futsal FA regulated and 2 which are smaller. Both are 5 aside as Futsal is a 5 aside game. Ideal for junior and adults to come and enjoy a fun but competitive leagues. Our leagues run Monday to Friday evenings. Our indoor pitches allow players to play when the dark cold late nights arrive. 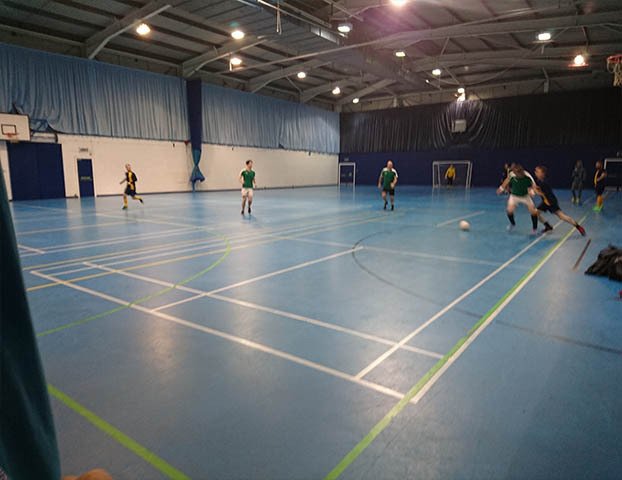 Our Futsal leagues are unique around the Coventry and Warwickshire areas. All our leagues are affiliated to the Birmingham FA. 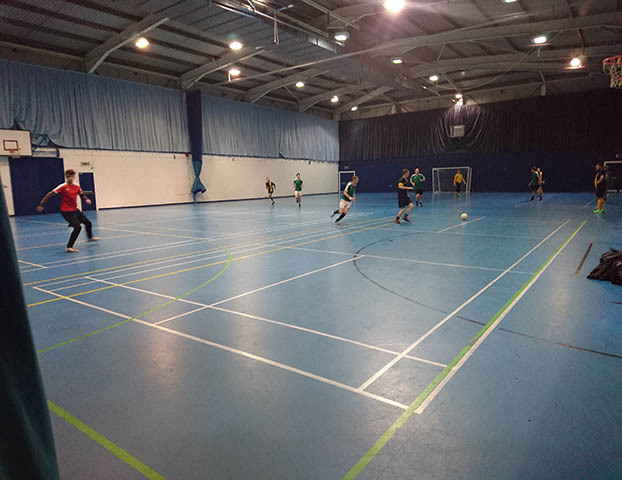 The Birmingham FA hold regular school Futsal tournaments in the sports connexion and encourage the participation of Futsal throughout the midlands. All our games are played to the latest rules and regulations, taken straight from FA headquarters. Gordon Strachan ? International and ex premier league player and manager Gordon Strachan has played and sampled our facilities. Played by some of the greatest and most technically gifted players to ever play football has been played in south America and the latin countries for sometime now In which they are particularly popular. But it here in the Uk it is now one of the fastest growing indoor sports leagues games.